My friends ask me if I will ever get tired with the superhero movies Hollywood continually pushes out. My answer is that as long as they continue to be high quality and engaging, such as “Spider-Man: Into the Spider-Verse,” no, I won’t. “Spider-Man: Into the Spider-Verse” serves as both an entertainingly energetic superhero origin story, as well as a homage to the many forms the character of Spider-Man has taken since his creation in 1962. It was an unintentionally fitting film to pay tribute to the superhero’s creator, the late Stan Lee, who received a special dedication at the end of the credits. 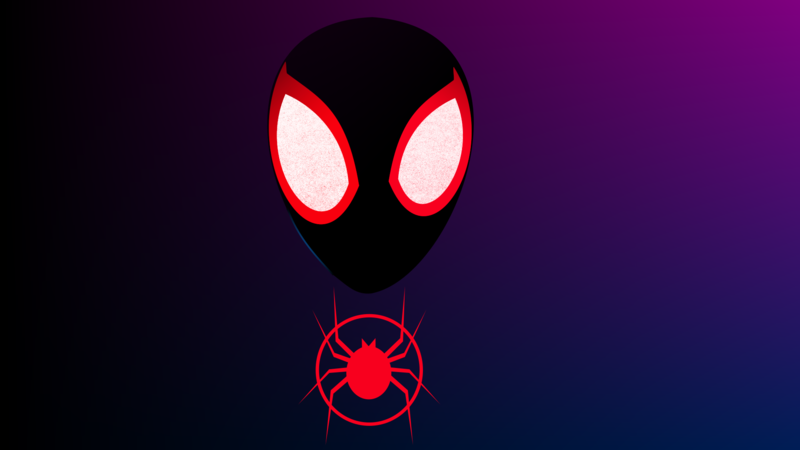 The movie follows middle school student Miles Morales, who begins to develop strange powers after getting bitten by a radioactive spider, powers that thrust him into the middle of a fight between Spider-Man and the villainous Kingpin. Miles’ problems escalate when Kingpin opens portals connecting alternate realities, causing variations of Spider-Men and Spider-Women from other dimensions to suddenly pop up in Brooklyn and leading to disastrous consequences. What immediately drew me to this movie was its animation style. The characters and universe are designed to look like they came straight out of a comic panel, creating a unique effect that breathes new life into the typical superhero plot. The animators took full advantage of this comic book style with simple yet effective touches such as thought bubbles that pop up when Miles is overthinking something, and panel-esque split screen moments that show action sequences from different angles. I also loved how the animation style changed a bit for each Spider-Man variant: Spider-Man Noir is black and white, Peni Parker is an anime, and Spider-Ham moves in cartoony, Looney Tunes-style motions. Miles goes through a lot throughout the narrative (after all, it is an origin story), and the way he reacts to and deals with these obstacles makes him relatable in a way that superheros in some harder rated films struggle to be. It also leads up to a message at the end of the film that seems pretty straightforward on its own, but is given weight by the events of the movie. The plot manages to be simple yet intricate at the same time, and it comes together beautifully. I don’t mean to give the impression that this is a strictly serious film. It has some heavy comedic aspects, most of which work well, some of which don’t (Spider-Ham was pretty cringe-inducing at times). I have a soft spot for quality fourth-wall jokes, and there are a ton of them here. There are also all sorts of references to famous Spider-Man moments, from the 60s TV theme song that will be stuck in your head for the rest of the day to scenes from the Tobey Maguire films from the 2000’s. Put together, it makes for a really fun viewing experience. In summation, I was really pleased with “Spider-Man: Into the Spider-Verse.” Fans of the comics and/or movies can laugh at the inside jokes and references they understand so well, but even movie goers that know nothing about Spider-Man can enjoy the engaging plot and gorgeous animation, making it truly a movie for everyone.